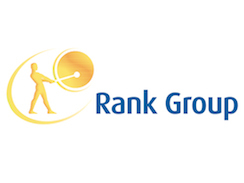 Headquartered in Britain, Rank is one of Europe's leading gaming and betting companies with well-known businesses including Mecca Bingo and Grosvenor Casinos. Rank HR Director Sue Waldock identified the need to break down barriers within the group so that valuable knowledge and experience could be utilised in support of Rank's strategic objectives in a climate of organisational change. Sue was drawn to a staff development partnership with Middlesex University because its work-based learning approach meant that the programmes would be tailored to meet Rank's specific needs. On that basis, a group of four senior executives undertook a Masters-level pilot programme. Using its extensive experience working with large companies and a unique work-based learning framework, Middlesex developed project-based programmes that enabled participants to draw on their experience and benefit from the different perspectives of those in the group. The process of reflective learning, which is at the heart of the Middlesex approach, enabled the senior executives to develop new analytical approaches to creative problem solving, working in cross disciplinary teams and leading staff through change. The programmes included group reflective learning discussion sessions, which were held at Rank's own premises. "These interactions helped to breakdown barriers between the different businesses and teams. The process encourages individuals to work with colleagues in different parts of the business and introduced them to colleagues they would not otherwise come into contact with." One of the most valuable aspects of the approach is that reflective learning cascades through organisations. "People watch and see the behaviours of their leaders, and because the senior executives on the programme are demonstrating best practice by working with colleagues from different departments across the business, their teams will follow." Sue Waldock, HR Director, Rank Group PLC.